Each psychic has their own unique way of connecting to their clients to give them a sincere personalized reading. Some psychics and mediums have the ability to directly connect with your aura, or your loved ones, spirit guides, angels. and the spiritual realm, while others may use astral projection, telepathy and other paranormal talents to connect with you on a metaphysical level. Some readers use psychic tools like Tarot cards, crystals, runes, astrology, numerology, pendulums and many other divination methods. All of the psychics here on Psychic Access are human. We do the best we can with the talents that we have been given to help you. Unfortunately, we may have to tell you things that you don’t want to hear, but we try to do it in a kind and caring way. In my case, the aura you send to me upon our connection, will determine the information I am picking up on, at the time of your reading. Auras are known to change from one reading to the next. My job is to decipher the messages I receive through your aura and to provide you the information that you are sending me at the time of the reading. Sometimes the information can be positive, but other times, it can be negative. Whatever the outcome, all of my readings come from my heart. When the information is negative, I aim to help you cope with that information at the time and help you get through it in a kind and gentle way. Afterwards, I try to focus ahead on the positive events leading to your future. Sometimes, I ask my clients to take time and absorb the information I have just read for them. 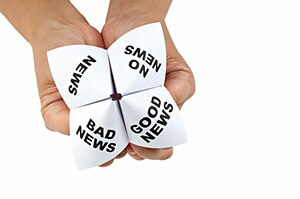 Many clients are not ready to hear the future and need to cope with the present first. In that case, I always encourage my clients to call me back when they are ready to focus on their future and find their way back to a happier place in their life. Different psychics can pick up on different information through the same aura. When it is opposite of the information I have read, I explain that we all pick up on different vibes from your aura. Sometimes it depends on the time of day, the time of the reading and how the aura was interpreted. I encourage my clients to listen to all the psychics, sort through the information that was provided to them, use the helpful information and advice, and then follow their own heart to help them to the next chapter of their life. Usually there is no right or wrong message from a psychic, it is just the way the aura was interpreted at the time of the reading. How you handle the help offered to you by each and every psychic will be the determining factor on how you reach the next step in your life. All psychics work together with you to find the positive in each and every situation. I am full of positive energy and want to share that energy with you. Remember that you are in charge of your future. You are the one that needs to sort through the confusion of the right and wrong messages you receive and follow your heart into your destiny. We all want to help you get there. I really enjoy doing psychic readings for all my clients on Psychic Access. If you are confused and need help or even just a listening ear, contact me anytime I am available. I look forward to hearing from you.